Viticultural efforts in 2014 ensured the vineyards had a balanced crop at harvest time, the fruit was ripe and showed excellent varietal flavours. Vintage began a little earlier than normal and the fruit we received to the winery was clean, crisp and full of flavour. Once pressed, the juice was fermented at cool temperatures to retain the fresh fruit flavours from the vineyard. 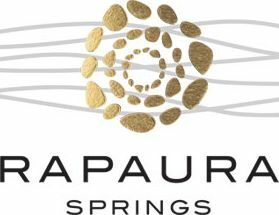 Rapaura Springs Sauvignon Blanc aims to capture the broad range of expressive flavours found across the Marlborough sub-regions. This wine features all the aromas and freshness that are hallmarks of great Marlborough Sauvignon Blanc. The 2014 vintage combined a long run of ideal growing conditions with some late season rain, although harvesting was well-advanced by the time the rains arrived. The Marlborough region’s crop was higher than previous years. Grapes showed lovely varietal character and intensity. The 2014 Marlborough Sauvignon Blanc has ripe peach, white nectarine and passionfruit aromas alongside lifted herbal and zesty citrus notes in the glass. A textural, fruit driven wine opens up on the palate and delivers layer upon layer of enticing citrus and tropical fruit flavours. An underlying, attractive, flintiness combines with the fine fruit flavours and crisp acidity to deliver a long and refreshing finish.